We are talking a lot about the sustainable development but practically we do not see around any impact. As such heritage sites are suffering maximum and their conservation has become point of concern. Further more, the geological heritage sites has been largely neglected against cultural heritages. It is great success of geoscientists across the globe that “MISTAKEN POINT”,theEdiacaran fossil site located at the south-eastern tip of the island of Newfoundland, in eastern Canada, has been declared as FIRST UNESCO World Heritage Site. It is also important for Indian geoscientists that the fossil was first discovered in June 1967 by an Indian researcher Prof. Shiv BalakMisra and fossil is named after him as “Fractofususmisrai”, never the less the efforts of Dr. Guy Narbonne, Department of Geological Sciences and Geological Engineering, Queen’s University and Chief Scientist of Canada’s nomination of Mistaken Point for UNESCO World Heritage status made it actually possible. It has opened new vistas for recognizing the geological heritage sites, developing them as knowledge parks and then bringing them to the World recognition is the mammoth task ahead for geoscientific community. 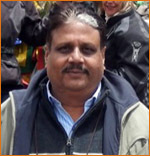 In large no.of countries there is no law formulated for conservation of geological monuments. Now, it is greatly needed and we should impress upon the respective governments for the same. A proactive step should be taken in every country especially by scientific Societies. The Society of Earth Scientists (SES) jointly with Bundelkhand University, Jhansi, India is gearing up to organize National Conference and Field Workshop on “Precambrians of India” 22-24 November 2016. Overwhelming response has been received and over 110 abstracts has been received for presentation. It is a tough time for the organisers. 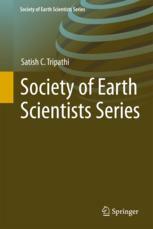 The proceedings has been planned to publish as a volume under Society of Earth Scientists Series by Springer soon after the conference. We welcome all the delegates.